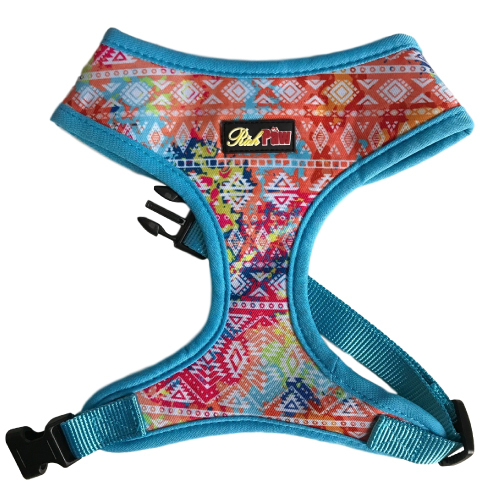 Designed to provide the ultimate in comfort and safety, the RichPaw Tribal Dog Harness is made from a breathable mesh material for maximum air circulation. Featuring a bright and bold printed pattern, the harness has been beautifully trimmed by hand. 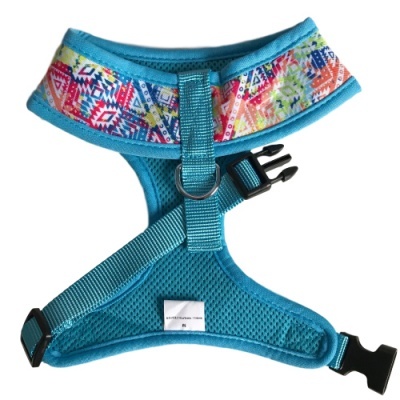 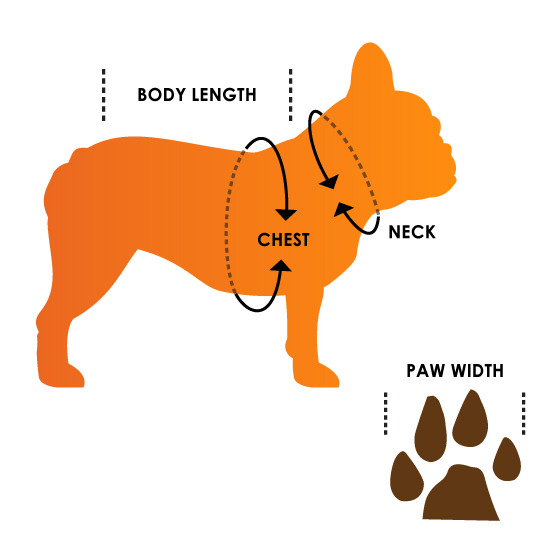 This unique design helps to prevent the dog from overheating without compromising the durability of other conventional pet harnesses. 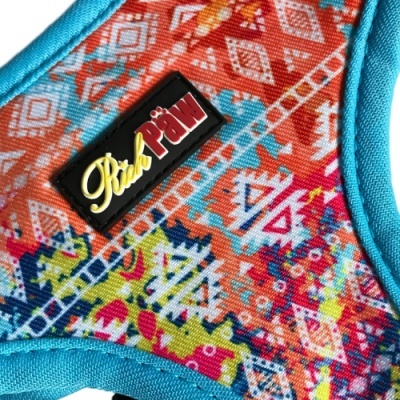 The soft padded breathable underside covers the chest area which is secured in place with an adjustable strong nylon webbing strap. 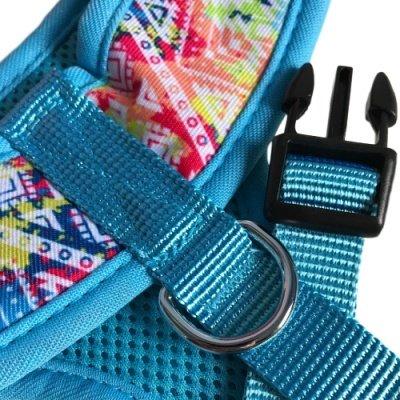 The reinforced 'D' loop is positioned and securely double stitched between the shoulder blades for complete comfort and control.